Is it Wise to Have a Wisdom Tooth Extraction? Wisdom teeth typically make their debut when you’re between 17 and 25 years of age. Some call this the age of wisdom, but your new teeth won’t improve your grades. You probably have four wisdom teeth, but some people have more. The American Association of Oral and Maxillofacial Surgeons claims that about 90 percent of people have wisdom teeth that are impacted or trapped beneath soft tissues and bone. They can’t erupt normally because there isn’t enough room. Ignoring impacted wisdom teeth is never a good idea since they can lead to problems like cysts and tumors, tooth decay, and gum disease. Wisdom tooth removal is usually the wisest option. Humans in prehistoric times needed their wisdom teeth for chewing raw meat and tough plants. They had bigger jaws and could accommodate a few extra teeth. Our modern jaw size, along with improved dental health, makes it less likely for our extra molars to serve as functional teeth. You may not know that you have wisdom teeth. Most people never have any signs or symptoms. When they do, they experience problems like pain, swelling, and changes in jaw mobility. Symptoms usually indicate that the teeth should be removed. Many experts recommend extraction before the age of 30 to avoid complications. You may experience some pain, but your surgeon will provide pain medication. You’ll probably have some facial swelling and bruising for several days. Some bleeding is normal. You can bite on a piece of gauze or a moist tea bag to help reduce it. Eat a soft or liquid diet while you’re recovering, but don’t use a straw; this can disturb the newly formed blood clots. You can brush your teeth, but be very gentle. You can usually return to work or school within a few days after your wisdom teeth removal, depending on your pain level and condition. 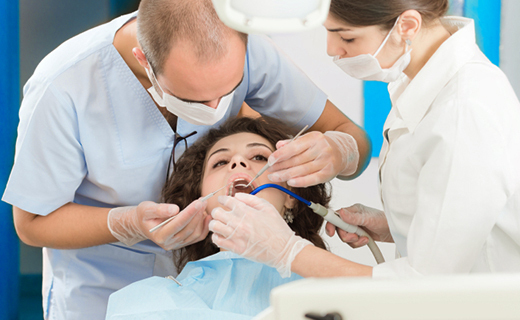 If you experience any unusual symptoms during recovery, contact your dentist or oral surgeon. Barbara provided excellent service and conducted herself in a very professional manner. Always displays a pleasant and contagious personality! Well run office, friendly and efficient. I am always taken good care of by Jamillah, my dental hygienist. She is professional and a nice person who genuinely is concerned about the health of my teeth and gums. Every appointment is a positive experience.